Food sensitivities are a real problem for a lot of people with fibromyalgia (FMS) or chronic fatigue syndrome (CFS or ME/CFS). Experts believe that, because of the central sensitization involved in these conditions, you can develop sensitivities to foods that then aggravate your symptoms. 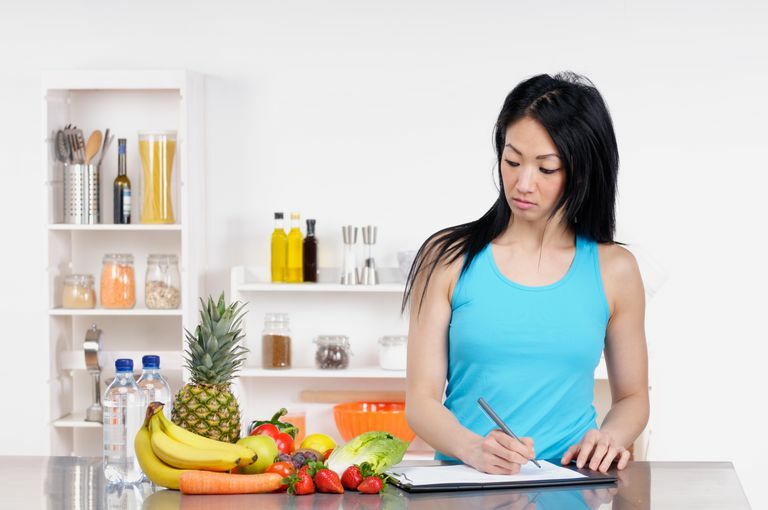 The best way to figure out what, if any, foods are a problem for you is an elimination diet. It's not easy, but it is mercifully short compared to most diet plans. You start out by eliminating broad categories of foods that are the most likely one to cause problems. Then, you re-introduce one at a time and see how you feel. Even without mental fog, it can be hard to remember what you ate on any given day. That's why a food diary and symptom journal are important for the success of an elimination diet. You'll be comparing the two of them to see what effect your diet is having. Your food diary doesn't need to be anything complicated. A simple list of what foods you eat each day is probably enough. A symptom journal can be that simple as well, or you can go to Tracking Your Symptoms to find several sample logs. Once you start the elimination diet, give it at least five days. If you notice a reduction in symptoms that last for a couple of days, you're ready to start adding foods back in. If you don't notice changes, give it another five days. If you still don't notice any difference, it's tempting to give up, but if you stick to the diet, you may notice subtle changes as you add things back in that can point to food sensitivities. While it's uncommon, it is possible for people to feel worse when they switch to this diet, probably because they've introduced a new food to replace something they've eliminated. If this happens to you, try eliminating anything new you've introduced to see if that helps. IT'S ONLY TEMPORARY! Keep in mind that some people with FMS and ME/CFS see pain and fatigue drop significantly when they eliminate certain foods. If you find something that helps, it'll be worth it. If not, it's still valuable knowledge. Once your 5-10 day elimination period is over, it's time to start adding foods back in. You'll want to add one category at a time, then wait 2-3 days before adding another one. Eat a lot of the re-introduced foods, at least three servings a day. Depending on the foods and your body, you could notice an increase in sensitivity-based symptoms within minutes or hours, or possibly the next day. If you find a sensitivity, eliminate that category again and wait until your body has recovered from the increased symptoms before you add another food. This is a tedious process and it may see like it takes forever. Just do your best to stick with it and remember that it could make a major difference in how you feel. Some food sensitivities are easier to deal with than others. If you find you're sensitive to gluten, for instance, you may want to see a nutritionist to find out the broad range of foods you'll need to avoid and learn about alternatives. If you don't discover any sensitivities, you might still want to maintain the healthier eating habits you adopted for the elimination diet. Read Changing Your Diet to Manage Fibromyalgia & Chronic Fatigue Syndrome for more information on why. Copyright 2008 Celiac Disease and Gluten-free Diet Information Since 1995. All rights reserved. "Elimination Diet May Ease Fibromyalgia"